Since 2013, we been able to welcome our guests to the beautiful rooms of the seventeenth century Probizer palace, where we dedicate all our passion, know-how and cordiality to ensuring their meal is a pleasant one. Our hospitality service includes overnight accommodation and breakfast prepared by us, and served in the cozy breakfast room. Cozy and comfortable, the Nosiola room offers everything you need to combine relaxation, comfort and work. The furnishings, with nuances of soft and harmonious colours, provide an air of serenity and balance. The bathroom, beautifully finished in marble, includes every amenity, including a shower, complimentary toiletries and a hairdryer. Tourist tax: For all persons over the age of 14, a tax of € 1.20 per person, per night is payable. The tax is not included in the total price of the stay and can only be paid on site. 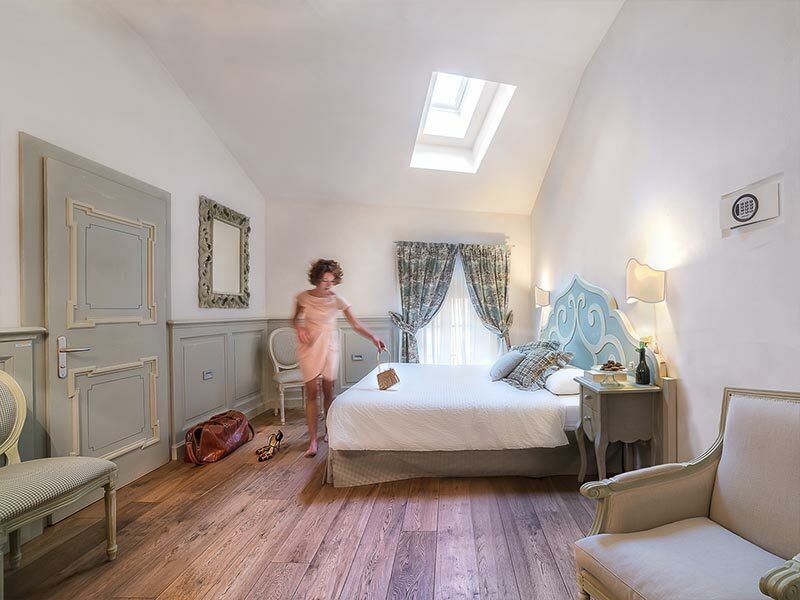 Our superior rooms are welcoming and pleasantly lit by velux and windows: in the Teroldego, Merlot and Lagrein rooms you will feel at home. After a long day's work, or at leisure among the attractions of the Vallagarina, you can pour yourself something to drink and relax in the welcoming atmosphere of your room. The bathroom, beautifully finished in marble, features every amenity, including a shower, complimentary toiletries and a hairdryer. Classical elegance in the spacious and welcoming Chardonnay and Sauvignon junior suites. Dedicated to those who are looking for a simple and relaxed lifestyle, where they can leave the frantic rhythms of daily life behind them. The interiors are finished in grey wood, lending the rooms a rustic but elegant and welcoming air. The bathroom, beautifully finished in marble, features every amenity, including a shower, complimentary toiletries and a hairdryer. The amenities and shower areas are equipped with every comfort, and are equipped for handicapped people. 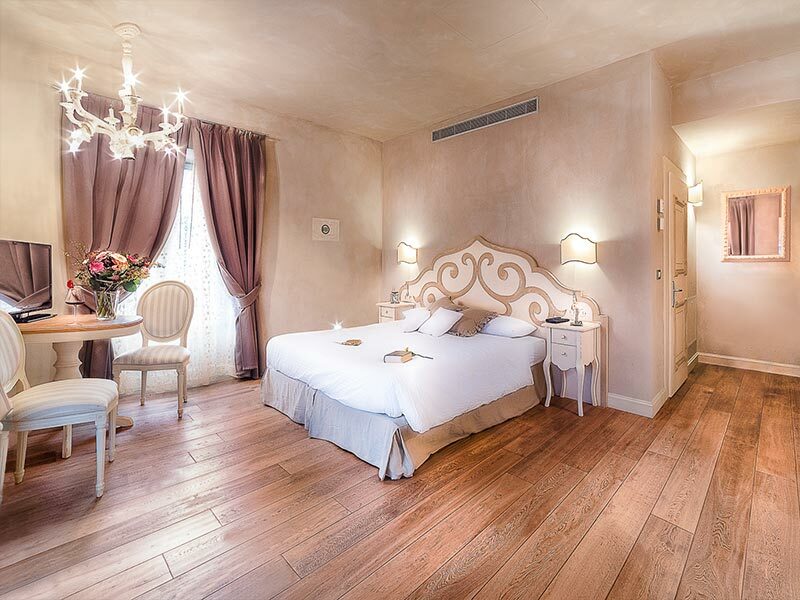 This suite is our luxury solution: equipped with every comfort, from the comfortable double bed to the exclusive, locally made furnishings and accessories. The large wardrobe offers plenty of storage space for all your luggage and purchases. The beautiful arched windows offer breath taking views. Relax in the pretty lounge, tasting the local produce available from the minibar. Take a relaxing bath in the beautifully appointed marble bathroom, using the complimentary toiletries specially selected for you. 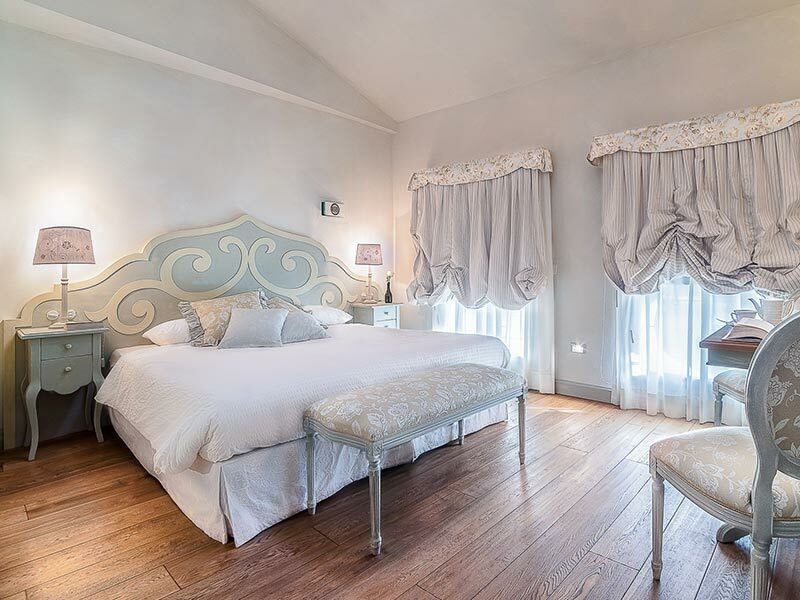 The deluxe suite represents the last word in luxury at the Casa del Vino: equipped with every comfort, from the comfortable double bed to the locally made furnishing and accessories, and fabrics and finishings. The large wardrobe offers plenty of storage space for all your luggage and purchases. 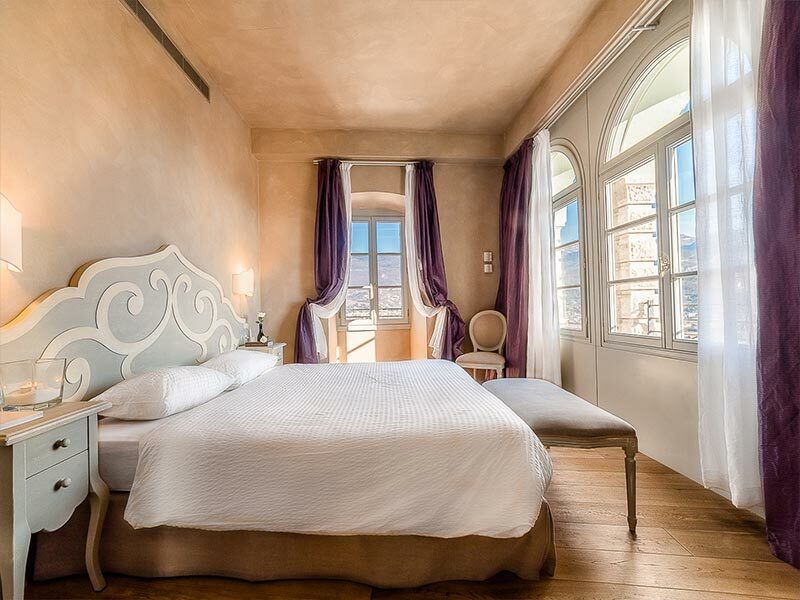 The beautiful arch windows, which illuminate the entire suite, offer breathtaking views of the Vallagarina. Relax with a good book in the charming lounge, while enjoying a selection of the local produce available from the minibar. Take a relaxing shower or a warm bath in the beautifully finished marble bathroom, using the complimentary toiletries selected specially for you. The prices shown are per room, and include: one night's accommodation with breakfast (which is served in the breakfast room between 7 am and 10.30 am). 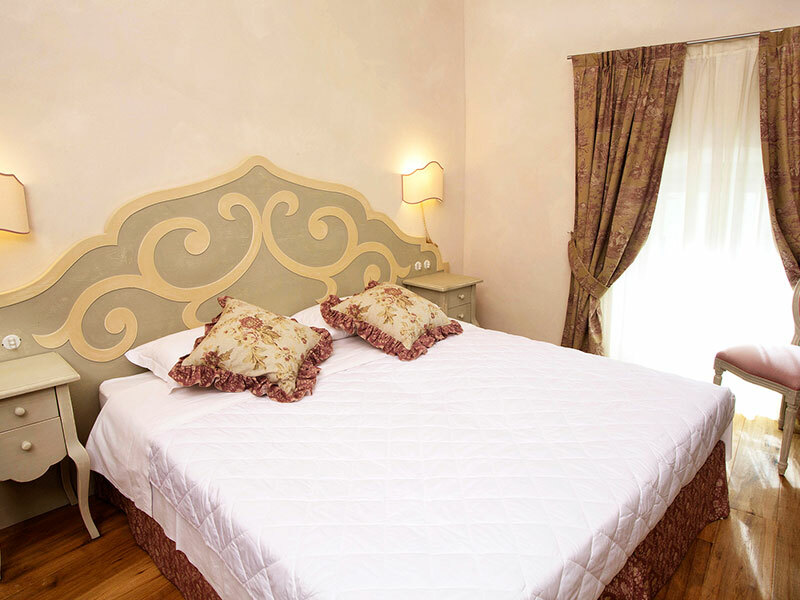 For single occupancy of double room € 20.00 from the indicated price. All rooms are equipped with colour LCD TV, telephone, air conditioning, safe and mini bar. Cancellation policy: Cancellation of the reservation is free of charge up to 24 hours before the day of arrival, after which guests will be charged an amount equivalent to the first night's accommodation. Tourist tax: 1.20 euro per day per person, over 14 years of age. The management assumes no responsibility for personal items. Free use of meeting room, subject to agreement with the management. We accept pets, subject to agreement with the management.